I read a couple of Christian nonfiction titles in the past month that I've been storing up thoughts about. I am a Christian too. (Surprised? Yes, the Mormon religion centers around Jesus Christ.) These books both caused me to see some aspects of my life in a new light, and to think deeply about my relationship with God. If you read either, let me know! Let's talk! 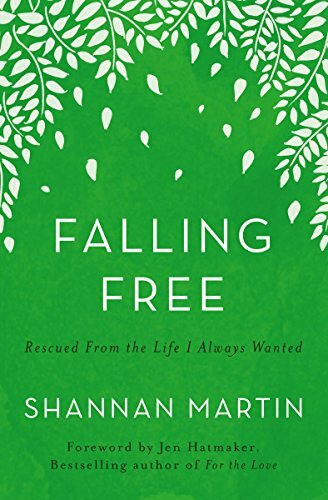 4.5 stars: Made me think about my expectations of life, and how they might differ from what God expects me to do with my life. I've been a reader of Shannon's blog for several years now. I appreciate her honesty, her wit, and the way she's figuring out what her walk with God should look like. She's got 4 adopted children of various ethnicities and ages. This is the story of how she and her husband thought they had made it--they were living The Dream. They had the farmhouse down a sunny lane, with room for the kids to roam, and a close-knit community of believers surrounding them. Then, little by little, their dream was dismantled, and they realized that they were being called to live in the city, in the midst of poverty and crack houses. To send their kids to the local public school, rather than to a private Christian school. To invite their neighbors and their neighbor's kids into their lives, despite their own preferences for hanging back and introversion. It was a painful transition, but ultimately has been a redeeming one. 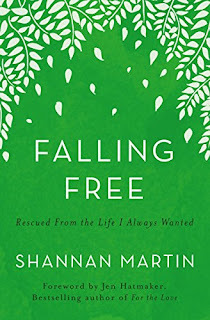 Though we don't share all the same ideas about God, I related to Shannon's struggles and triumphs. This book made me think very deeply about the things I take for granted. It inspired me to seek God's purpose for my life more deeply. She raised several points that I'm still mulling over. How can we expect to do God's work if we are surrounded by people who look and think essentially the same way we do? Feeling uncomfortable reaching out to our neighbors does not excuse us from doing it. If God has given me material or financial success, what am I doing to use it to His glory rather than my own? I appreciated her ideas about supporting the places you are. For instance: pulling your kids out of the struggling public school to put them into a selective private school doesn't do anything to build your community. I also thought it was beautiful how she and her family have found the most acceptance and love they've ever known at the humble church right down the street. Again, she's not saying that her choices should be your choices. I think what she's saying is that following the spirit of God can lead you to uncomfortable, hard, and unexpected places, but it will bring you right up close to Him. That other people--even other Christians--may not understand you or why you're doing what you're doing, but following Jesus is still the right choice. If you are living in a mostly like-minded community, what work does God have for you to do there? Don't be afraid to pursue it. This next one is a Christian classic. I'm glad I finally took the time to read it! 5 stars: So many insights into human nature and Christian living. This was actually our book club pick for February, but I was sick that night and missed discussion. Boo! I'm sad, because there was a lot that I wanted to talk about. It's short--my copy is only 85 pages--but I want to read it again and underline things this time. 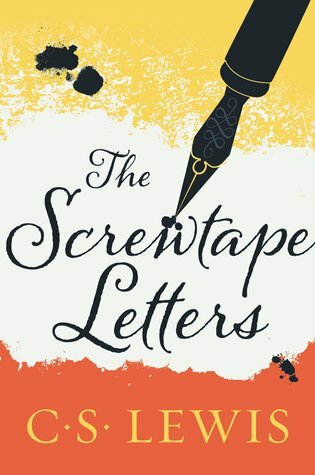 Screwtape is a senior devil, who writes these letters to a younger temptor named Wormwood, as a sort of mentor in the business of leading souls astray. The letters deal with various aspects of leading the Christian man or woman to the dark side, from doubt, to pride, to gluttony (of various forms), to lust, and so on. The ideas he explored were so interesting. For instance, I really liked what he had to say about the cyclical nature of life. In other words, pretty much everything in life goes up and down--it waxes and wanes. Of course, Screwtape is advising Wormwood to use this knowledge to his advantage, because humans tend to forget it. When we're on the downward slide, it can seem like everything is dark and won't ever be good again, and when we're on the top we tend to take all the credit for it, succumbing to cockiness or at least forgetfulness of our Maker. So, whether it's our marriage relationship, our finances, our health, the amount of free time we have--or whatever--expect the cycle and don't get all bent out of shape at the bottom, or gloat too much at the top. Also, there was a whole letter devoted to gluttony of different kinds, including the person who is so insistent on their particular diet being catered to, that they make everyone around them miserable. ("Just a little dry toast and a sip of tea for me. Anything else would upset my digestion.") It may not seem like gluttony, because the person is not overeating but rather undereating. However, the sin of gluttony is shown to be allowing the body's physical relationship with food to take center stage, to the detriment of everything--and everyone--else. Man, I really wish I could have gone to the discussion! There is so much more, including justifying our gradual disillusionment from the church by the types of Christians we encounter there, justifying doubt by using "modern" terms of sophistication, and so on. Okay, I just need to read it again. What are your thoughts? As I said, I am eager for more discussion on these two! Also, do you have any others to recommend? I've been wanting to read Falling Free for a little bit. Is it at your public library? Or did you buy it? No, it's not at our library. I bought the Kindle version.